Join Kate V Robertson and her colleagues Martin Craig and Michelle Emery-Barker from Sculpture Placement Group for an intimate conversation exploring new ways of prolonging the life span of sculptures in 2018. As Sculpture Placement Group, Emery-Barker, Craig and Robertson are researching and pursuing ways of improving the economic conditions for artists with sculptural practices and testing alternative models for the circulation and acquisition of object works. They consult directly with artists, arts organisations, academic institutions and community groups to encourage sustainable working within the visual arts sector and facilitate engagement with sculptural practice. As part of their ongoing research they have recently compiled a Stored Sculpture Inventory to demonstrate the wealth of sculptural works languishing in storage across Scotland, the UK and Internationally. This inventory will act as a basis for several upcoming projects and future research outputs. 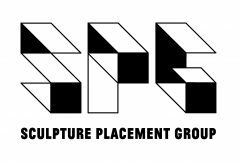 For Glasgow International 2018 Sculpture Placement Group will present Sculpture Showroom; an adoption service for sculptures on the brink of destruction.